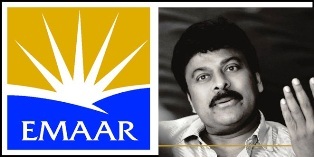 Praja Rajyam Party president, Megastar Chiranjeevi is decided to fight on the Emmar property scam and he felt that sufficient time has given to Congress government and nothing had happened all these days. He already staged a dharna at APIIC office and also met Chief minister Rosaiah couple of times for the inquiry on the scam. PRP is planning to do a state level agitation and instructed all the party cadre in districts, Mandal and Village level to do an agitation on the 10000 crore rupee land scam in and around hyderabad. The same has been confirmed by the Party leaders Jyothula Nehru, Vasireddy Padma and J goutham at a press meet held at the party office. Speaking on the press meet, Nehru alleged that Licenses to the Vanthada mines in east godavari is given by Chandra Babu Naidu and he is responsible for the scam of Vanthada and also said Emmar properties were started it's operations in AP during CBN time. After a long time, cadre was given a task of agitation.